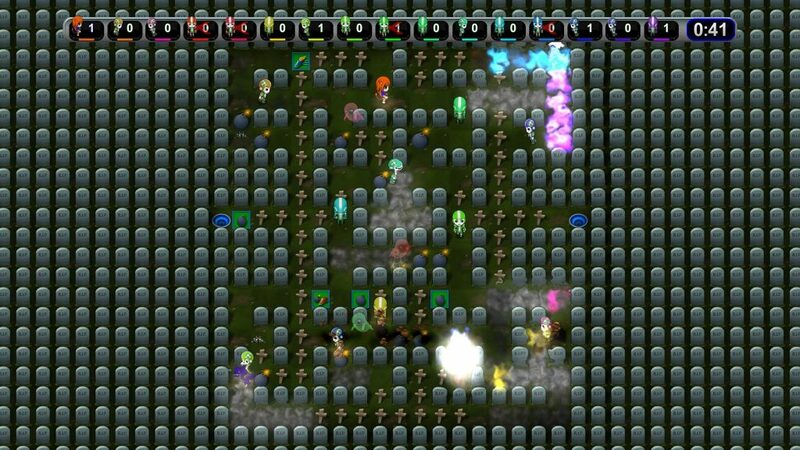 Three years ago, on this very website, I reviewed a game called Bombing Busters. 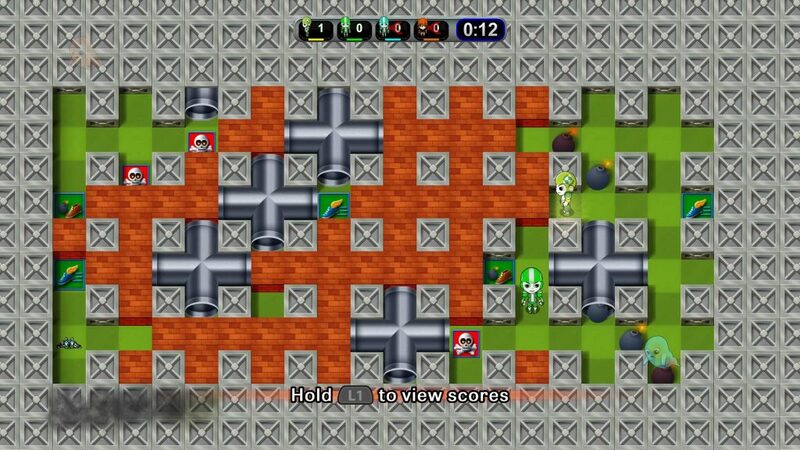 This was a game that wore its heart on its sleeve and was almost identical in premise to its inspiration in Bomberman. The key factor at the time however, that despite the many flaws that Bombing Busters had, it was the only game of its type on the PS4 platform, with no original IP Bomberman game out to challenge it. It essentially acted as an unofficial way to enjoy that type of gameplay. Bombing Busters had a purpose, despite the flaws. Cut to 2018 and since that launch we have seen the release of Super Bomberman R. This being a successful and fun title to add to the pantheon, it seems that there is no longer any need for such clones. However, despite the re-emergence of the classic IP, here we are talking about a new copy of the Bomberman formula. 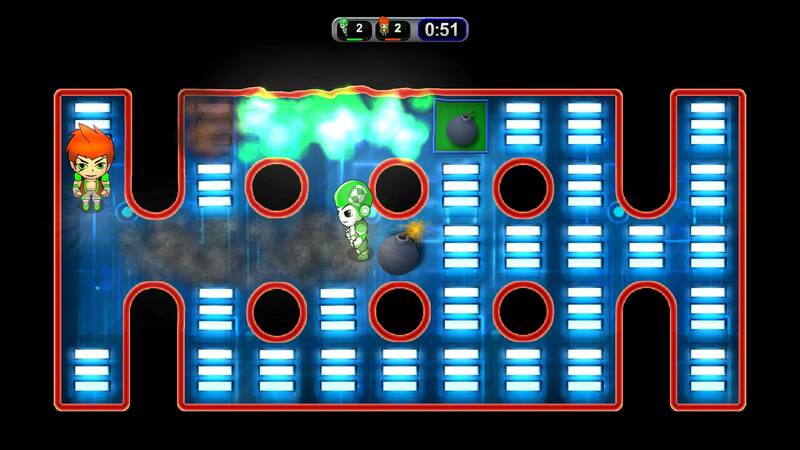 This time it is called Splody and comes from the fledgling studio Dashing Strike. The way I see it, there are two types of video game clones in this world. You have the iterative clones that take an existing formula, however expands on the ideas and concepts that create their own IP that stands apart from the original such as Fortnite or Minecraft. The other being a derivative clone, a game that is either almost the same as the original or worse than it. This is where you would find the likes of those laughable freeware samples that you would find on floppy discs on magazine covers in the 90’s, your Mario Kart ripoff’s like Crazy Frog Racer and Splody, which just so happens to be the subject of today’s review. The problem with Splody is that it is so close to the Bomberman formula that it lacks any kind of personality or innovation itself, removing the single player shenanigans of the recent Bomberman games and instead focussing entirely on the multiplayer. As such, the cast of characters are merely colourful puppets for you to distinguish which avatar represents your hapless bomber. This removal of context should be fine for most however as pesky things like story modes can get in the way of a solid multiplayer experience, but it does not help make the game feel anything less than anaemic. It doesn’t help that the characterisation and map types are also incredibly bland. Everything is illustrated with what can only be described as a late nineties Newgrounds flash game project vibe. All of the map elements are heavily based off Bomberman with Assets being simply redrawn as opposed to being changed thematically or effect wise. This does help with not having to retrain your brain to work out what each powerup does but considering that this is an independent effort with every opportunity to change things up for its own identity, it just ends up feeling poor. When it comes to multiplayer, Splody does have some redeeming elements. 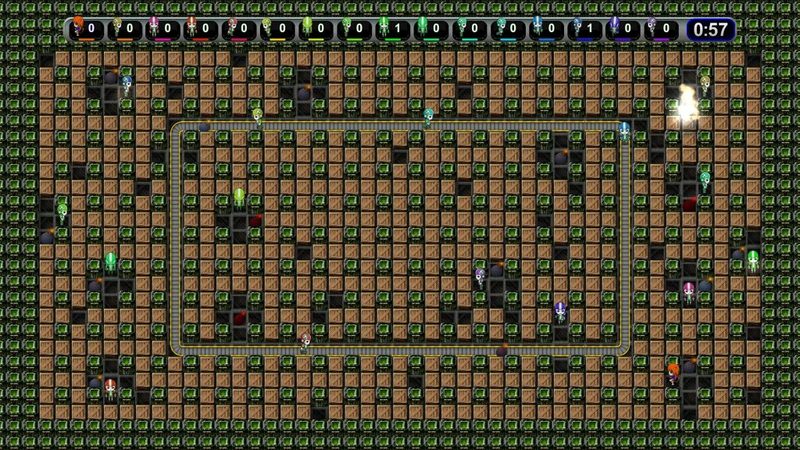 It feels like what would happen if you had a readily available debug mode for the core Bomberman battle-royale experience. There is a staggering amount of customisation aspects on display. Such as full control over the amount of power ups in play, which power ups are available, map types, level editing and more. The most impressive aspect being that you can have up to 64 player battles which are about as chaotic as they sound. Having such a large number of players doesn’t really let you play with skill in mind, but it is damn fun to watch in action as the amazing number of explosions going off at the same time gives an unerring sense of impossibility when considering your chances of survival. 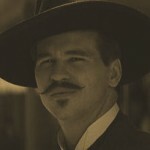 Now, here is the hard part. It’s incredibly difficult to review a game like Splody to its full potential when playing solo. While I have gained a good understanding of the core mechanics, characters and general outlook of the game in its full released state. I am unable to test the online multiplayer as in my time with the game (around three days after release) there was not a single other player to find online when doing so. This means I was unable to try the “true” multiplayer experience as arguably, this is what anyone would want to purchase this game for over a Bomberman title. While some may consider it unfair for me to mark Splody down for this, I feel that it is important to do so. After all, if you are coming into this game with the expectation to enjoy the online multiplayer, then you may very well be unable to do so, unless there is a miraculous increase in player numbers. Without the multiplayer, you will be relegated to playing against bots and the variation of ways you can enjoy this are exhausted in less than an hour, when you consider that the single player is comprised of unstructured, mutator based skirmishes. After playing Splody and reading through press materials and developer comments, I noticed one prevailing notion that stuck in my mind. Splody is being sold to fix the multiplayer aspect of the typical Bomberman elements that some customers had trouble with with R and that the core selling feature is that the game is a third of the price of the established IP alternative. The issue I have with this is that while this is a competitive and often accepted tactic in most market mediums, I take exception to the notion that the game is being advertised as an identical yet cheaper version of what it is trying to copy. It denotes a lack of passion within the manufacture and that Splody is merely a product of cynicism and being a means to an end, rather than focussing on making an enjoyable experience with its own identity. Fundamentally, this makes the game very hard to recommend from a moral standpoint, but also from a practical one as without the uptake of players online, the core promise is lost. - Honestly, why would you play this over a Bomberman game? Splody wears its heart on its sleeve and it shows. It is by far the most derivative clone of Bomberman to exist since the 90’s and lacks any sense of uniqueness or personality of its own. It lives up to the pitch of being a cheaper alternative to a main Bomberman game, but sometimes being cheaper is simply not enough. This is one of those occasions.